Liesl has been traveling this week, so she hasn’t been able to pull together her usual Friday roundup of links and inspirational images. But don’t despair! We have a special guest contributor for today’s weekending reading post. Here’s our special guest Lisa with her recommendations for the weekend. Hi Everyone, I’m Lisa from Pink Hollybush Designs and I am so excited and honored to be here to share some weekend inspiration with you. Adding details that make an outfit special, while expressing my creativity, is what I love about sewing, and as the former President of the Smocking Arts Guild of America, I especially love handwork. With summer finally arriving (even here in New England), I find it so enjoyable to have some portable handwork stashed in my bag to work on while sitting through a child’s sports practice or keeping watch by the pool. 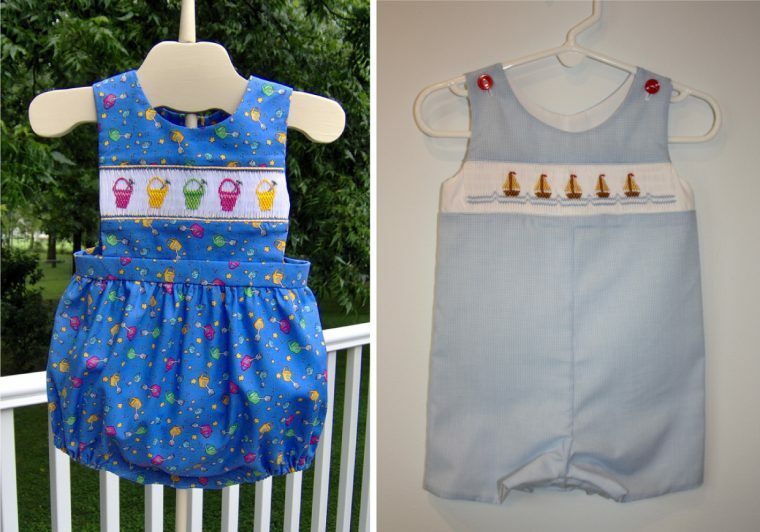 So here are some ideas to help spark your sewing creativity, and get those creative juices flowing! Both of the dresses below could be made with the Building Block Dress Book, or Ice Cream Dress pattern. The embroidery detail is just stunning. These You Tube videos from Mary Corbett will help if you are unsure how to work any of the stitches. 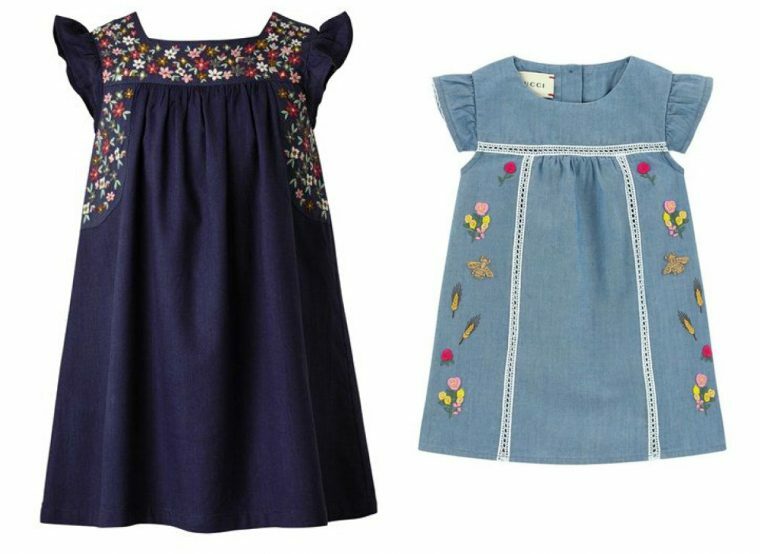 Of course, I have to suggest some smocking: and the Library Dress with its wide waistband is perfect for a smocked inset. It’s summertime with sand pails and sail boats! If you need help with the smocking stitches, check out the Smocking Arts Guild You Tube videos or my Smocking Stitches Guide. 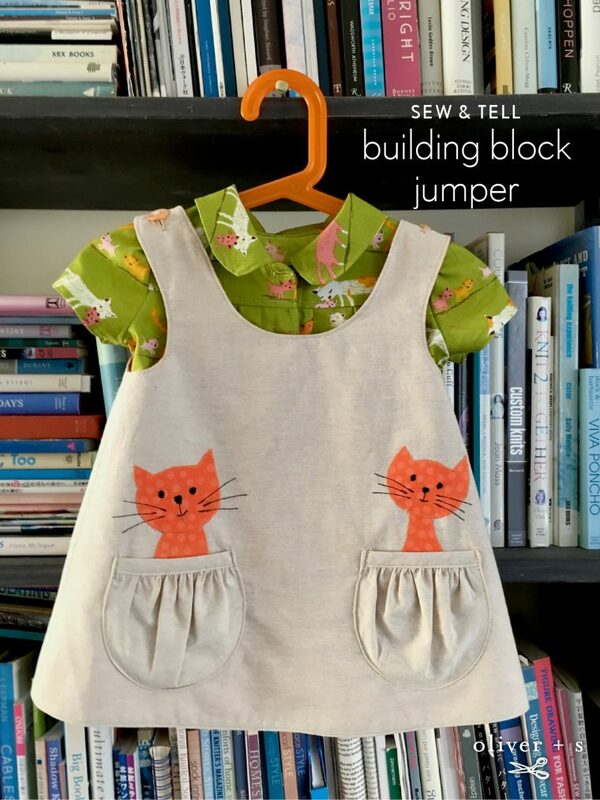 I love how Kate matched the kitties on the Music Class Blouse with the kitty peeking out of the pockets. 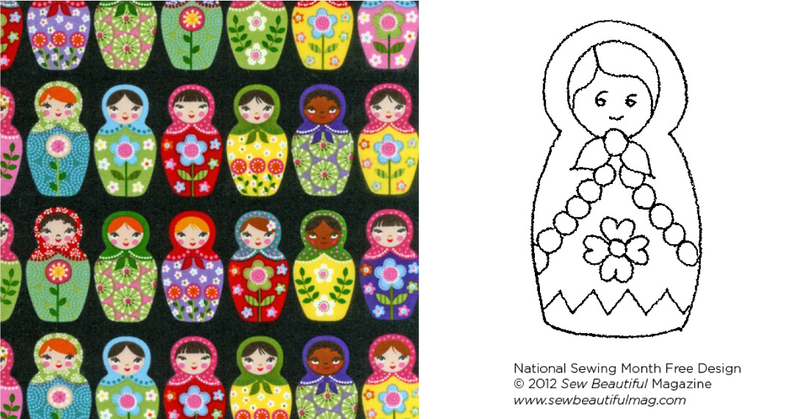 To try something similar, match this Matryoshka doll fabric from Robert Kaufman with this Matryosha Embroidery Pattern. Or pair an ice cream print fabric with this Ice Cream Cone Pattern. And how about some ice cream inspired women’s wear? Buttons can be that special detail that makes the outfit, or they can just be fun! If you are sewing for yourself, the Metro Tee could easily be modified to make this look. Or create this stunning top with the Cappuccino Tunic. 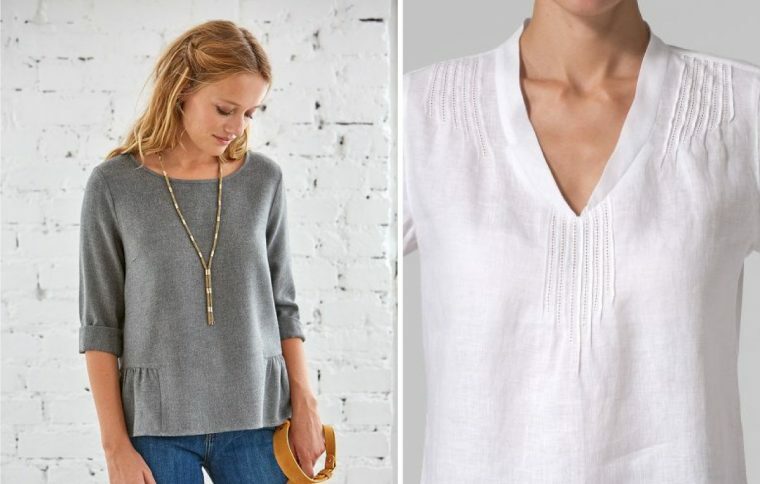 Convert the center front gathers to tucks, add some additional tucks to the shoulder seams and complete the look by finishing each tuck with a simple machine pin stitch stitched with a size 110 needle. Last week Liesl mentioned that she had sewed something outside of her personal style. I have been working my way through the lessons in The Curated Closet to help pinpoint my style, and they have been tremendously helpful. I enjoyed viewing these sculptural embroideries. Artist Charlotte Baily uses embroidery to mend a broken ceramic object, inspired by the Japanese technique of kintsugi. If you enjoy collecting embroidery, or just appreciate beautiful linens, you may enjoy reading a little about the history of Madeira embroidery. If you are noticing a history theme, all I can say is once a history major, always a history major! The Guernsey Literary and Potato Peel Pie Society is a great read because it combines my love of history (in this case WWII), some humor, and people joining together to do their best despite difficult circumstances. I spent last weekend attending a family wedding at the spectacular Point Bonita Light House in California. If you have ever wondered what life was like living in a light house, you will enjoy The Lighthouse Keeper’s Wife. Have a wonderful Memorial Day and Happy Stitching!